Last winter I reached out to a few peers in the backpacking community. They mentioned a clothing company that has a known reputation for holding up to multi month activities and quality craftsmanship. This is the exact tool I needed to aid me during the 2013 hiking season. Tell you the truth, until several distance backpackers brought them to my attention. I've never heard of RailRiders before 2 years ago. Figured if they can hold up on a thru-hike; which is hell on clothing. They should be just what I was looking for. Time to put them to a test, in the punishing Olympic Backcountry. RailRiders top and bottom on the summit of Mount Angeles, with the Bailey Range in the background. I admittedly gave my off season measurements while ordering the pants. As the hiking season progressed and dropped some weight, they ended up fitting baggy on me. The elastic waist did a nice job on keeping them on my hips. Don't usually like wearing a belt in combination with a backpack, but they have a nice built in sleeve, so it won't dig into your back. The baggy fit did help while doing thick bushwhacking, adding a little extra skin protection from the brush. Never once felt the inseam length hindered my mobility while climbing over windfall or dead trees while off trail. All future pants must have zipper pockets after owning these pants. I love being able to stash important items inside and not have to worry about them falling out through the day. Elastic and velcro cuffs are also a must for minimalist hikers. There is nothing more annoying than walking on the bottoms of your pants, because you chose not to wear traditional boots or shoes. The rainy Pacific Northwest is the perfect proving grounds for clothing and gear. I encountered every major 4 season weather possible for this area. Rain, snow, below freezing temperature, wind and sun (yes we do get it; sometimes even in the same day). Crossed glaciers, pushed through soaking wet forest foliage, forded multiple rivers and endless creeks. Do have to say I felt a little disappointed on the water retention and fast drying claims of this pant. Maybe because the previous lighter weight material trouser dried super fast? Would suggest you not get this pant solely just for the purpose of bad weather. Felt they held water once fully saturated and dried marginally while wearing. They did however protect my skin in four season conditions and never left my skin feeling directly cold caused by the winter like wind chill. Providing that important barrier against a hyperthermic situation. 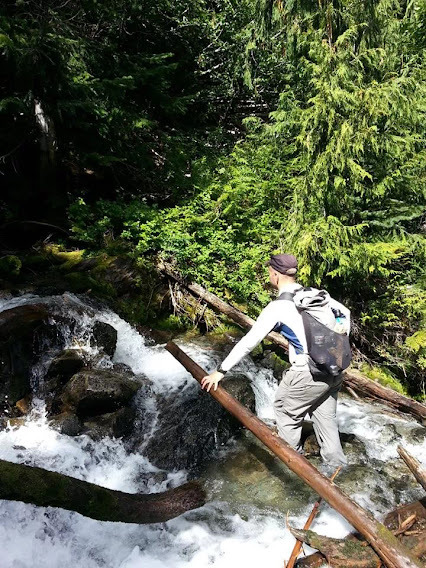 Bushwhacking on the Lillian Ridge Traverse straight up this creek to avoid endless slide alder and avalanche debris. - by Torry J. This is one of the best parts of this pant. Little suckers can't bite through the material! In the evenings while enjoying dinner in the spring months, the little guys are at their peak season. I observed hundreds land and try to get through. Quickly would just give up and try to find other areas to get blood out of me. These pants should be called 'Mosquito Armor'. 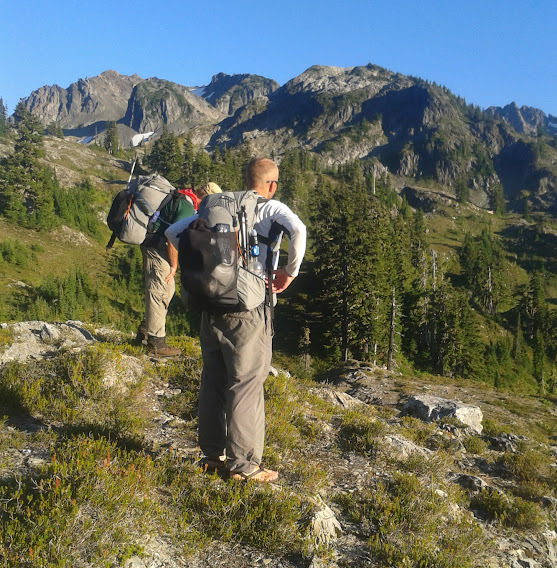 How these trousers held up in the Olympic Mountains, makes them worth every penny. Performing superbly against thick berry bushes, devil's club, ice, sharp rock and scree. Experience only minor damage in the form of a hole in the material, from falling down a gully on the side of a mountain. There is no doubt in my mind, they saved me from some major 'road rash' on the side of both legs during that event. I never experienced a clammy feeling while hiking in the alpine during summer conditions, nor feel the cold from the wind during an autumn storm. They also hold up to the hiker laundry day aka stick them in a creek and rub sand on the fabric; in place of soap. That is hard on lots of other clothing. RailRiders Weatherpants in Ferry Basin, during a 10 day traverse of the Bailey Range, ONP. - photo by Liz Thomas. Disclaimer: RailRiders these pants were provided to me for no cost for this review.